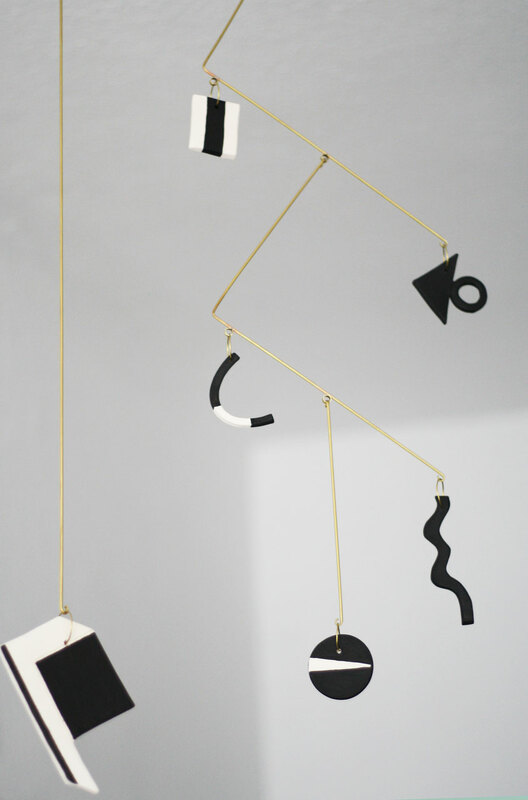 Figur 1 is a one of a kind kinetic mobile. 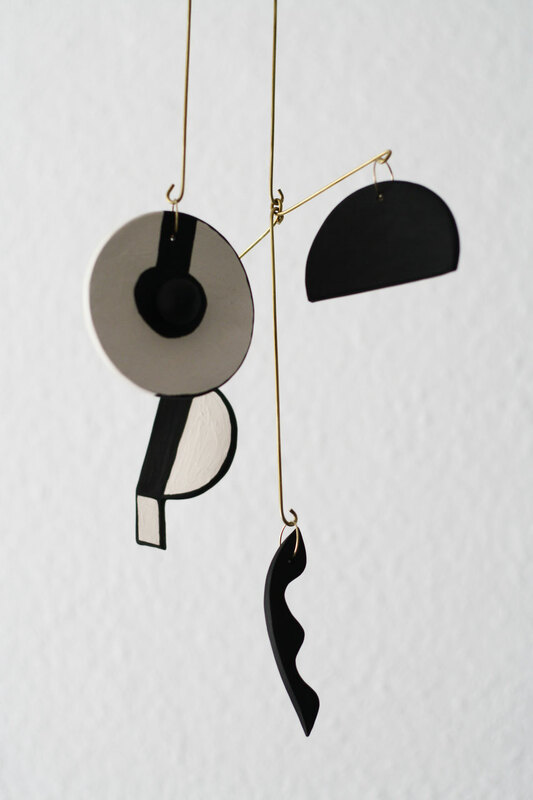 Different ceramic shapes are handcrafted and painted individually, merged together with brass structural elements. 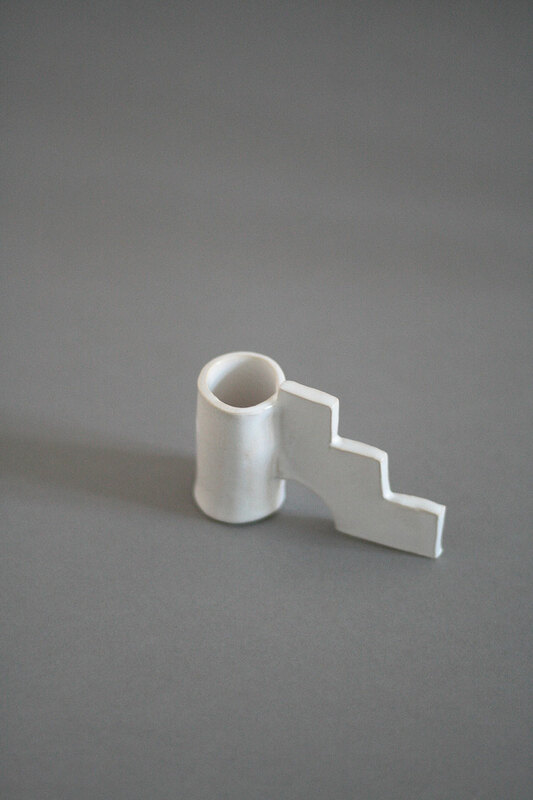 It creates a graphical contrast and the sense of wonderful curiosity. 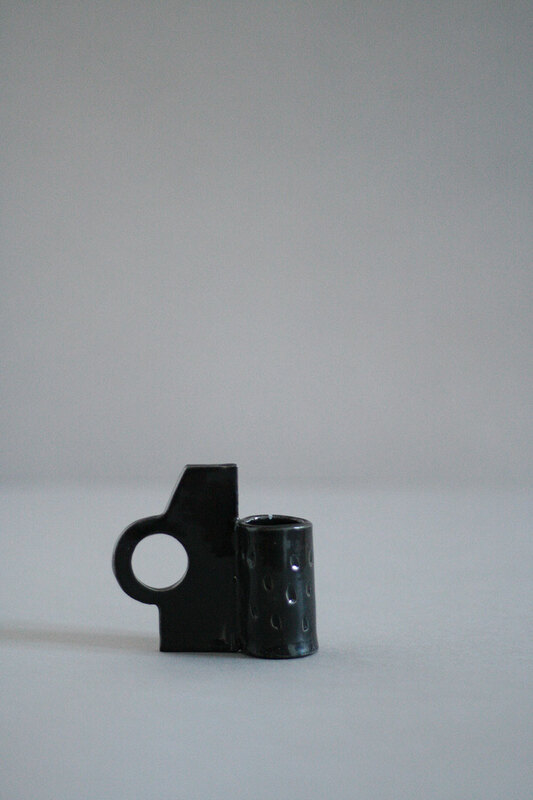 Care: the ceramic shapes are not glazed, therefore it is recommended not to wash them, they could be cleaned with a cloth. 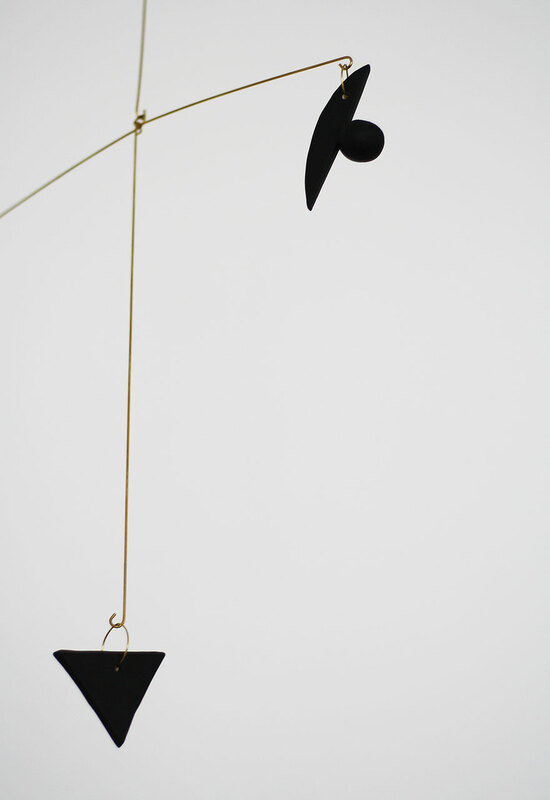 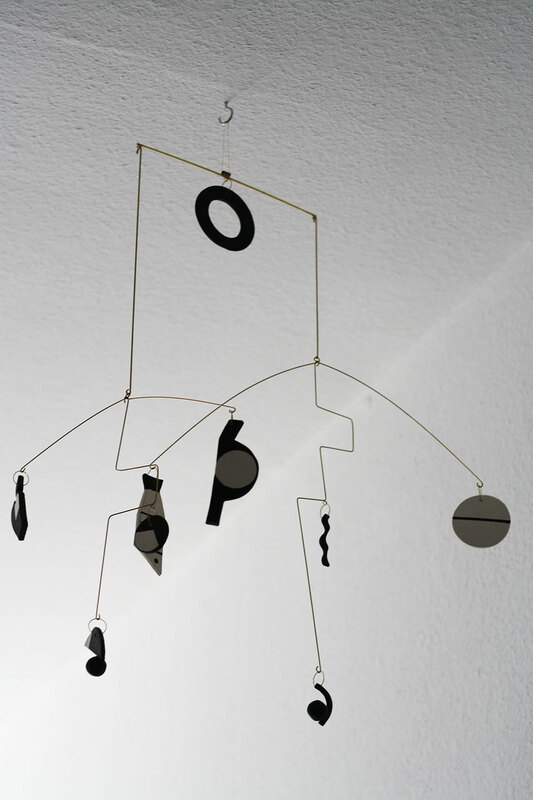 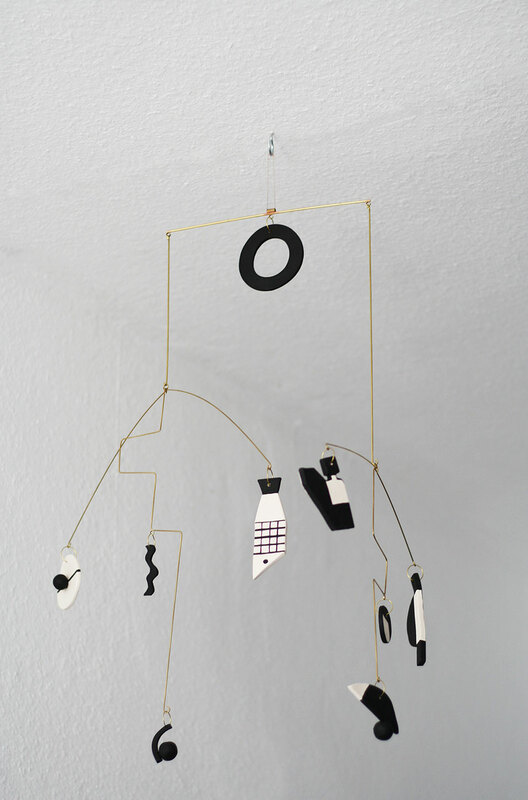 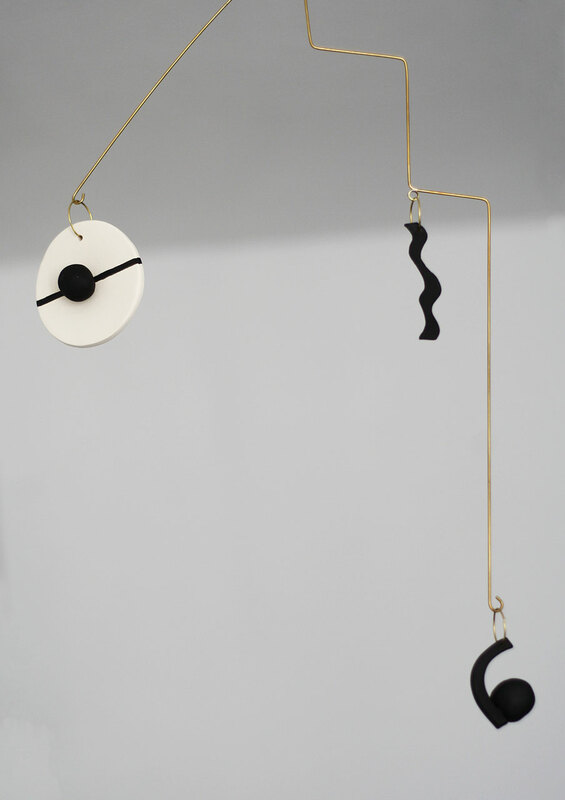 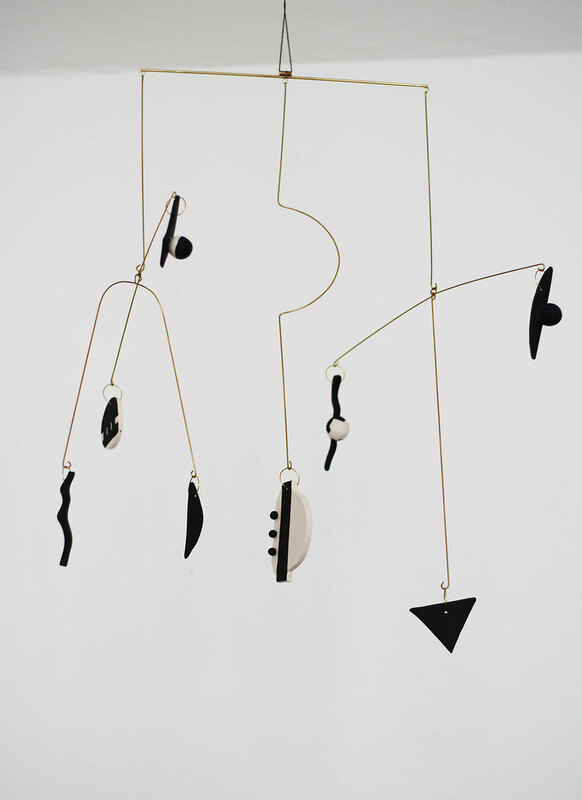 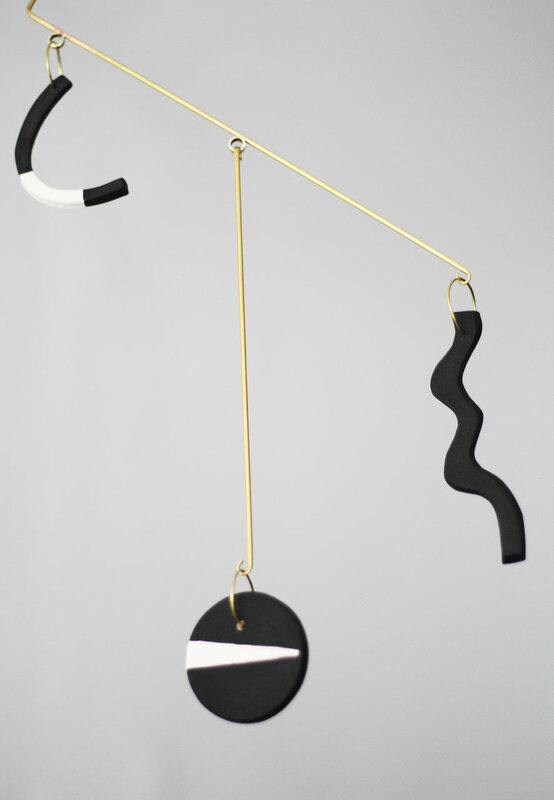 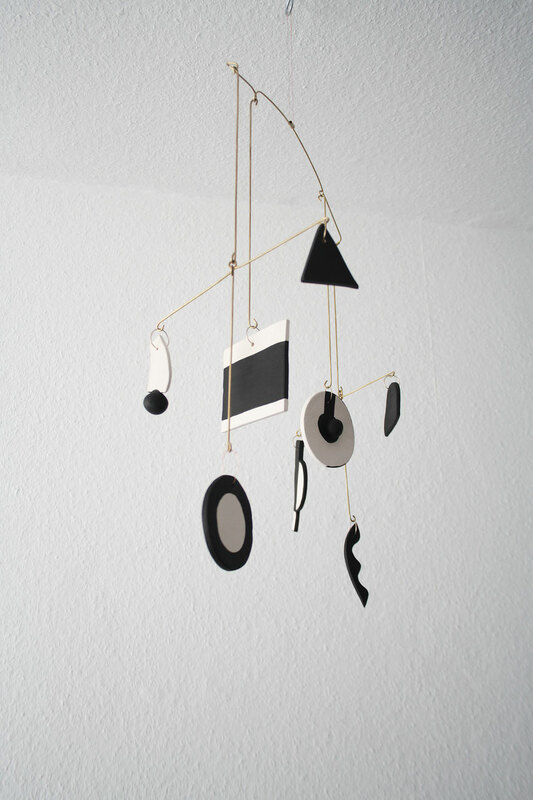 Figur 2 is a one of a kind kinetic mobile. 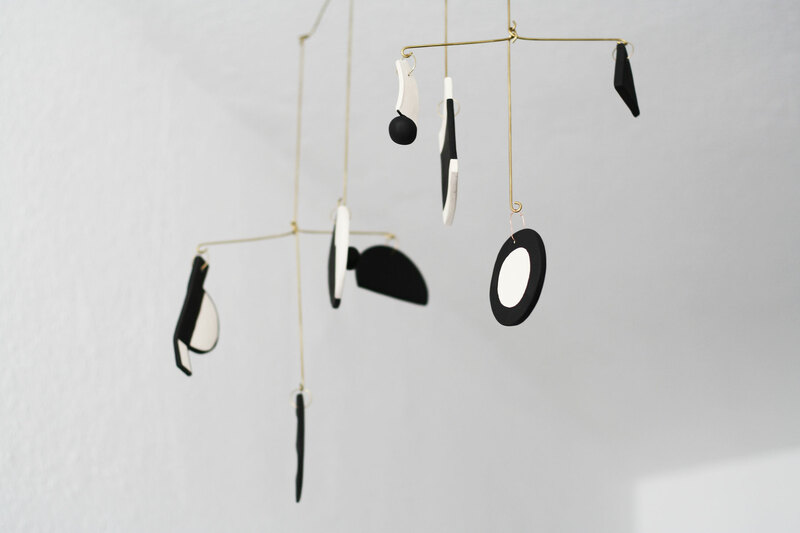 Different ceramic shapes are handcrafted and painted individually, merged together with brass structural elements. 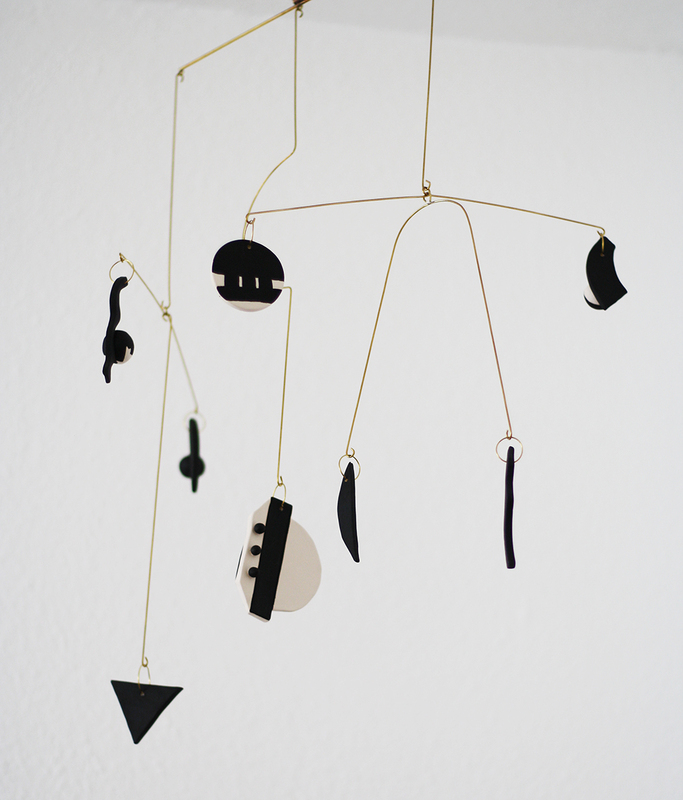 It creates a graphical contrast and the sense of wonderful curiosity. It could be used as a wall hanging or a mobile. Figur 3 is a one of a kind kinetic mobile. 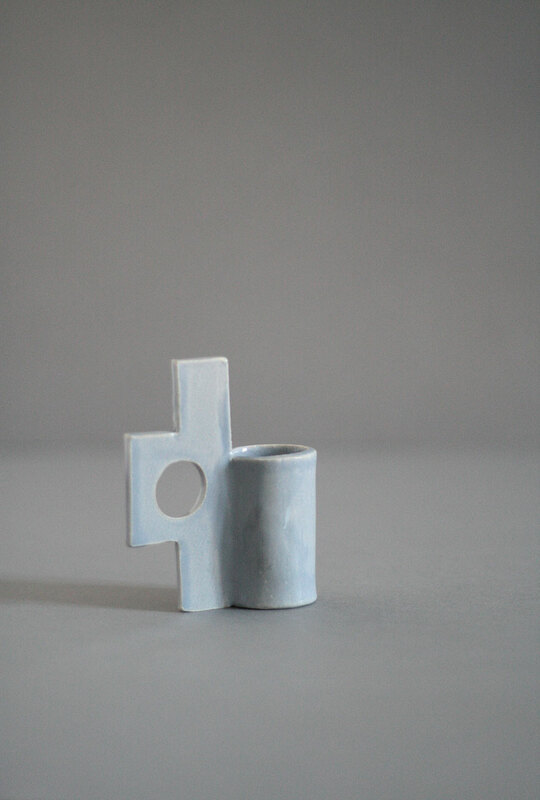 Different ceramic shapes are handcrafted and painted individually, merged together with brass structural elements. 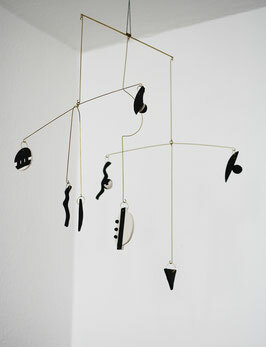 It creates a graphical contrast and the sense of wonderful curiosity. 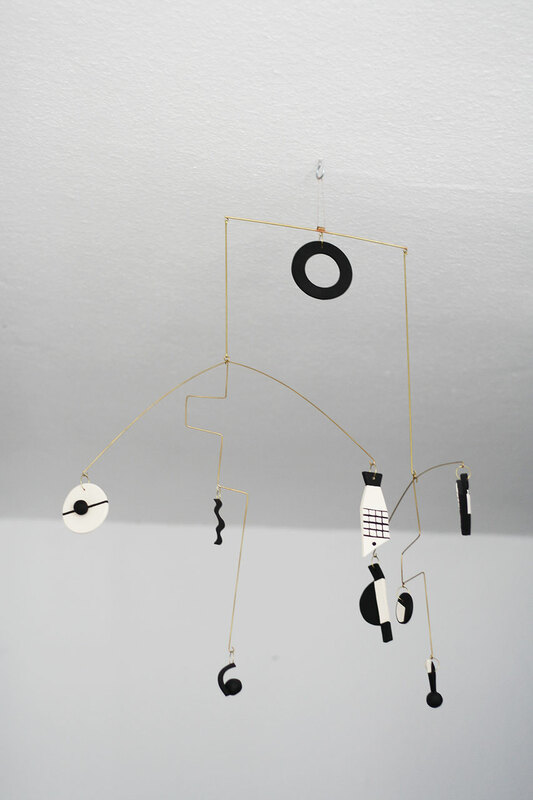 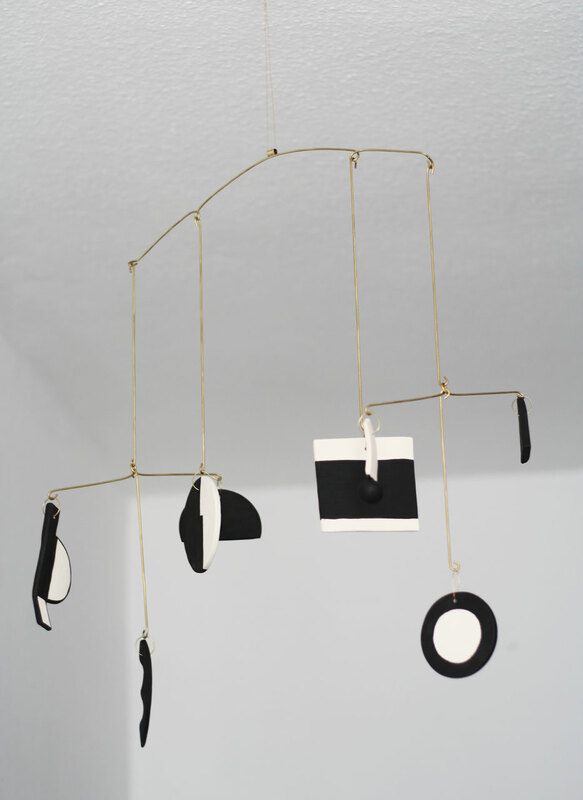 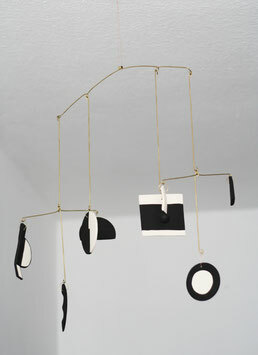 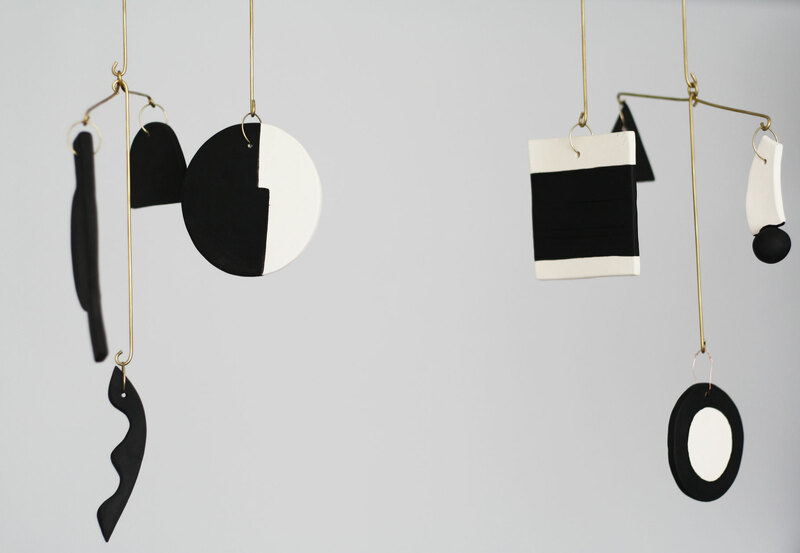 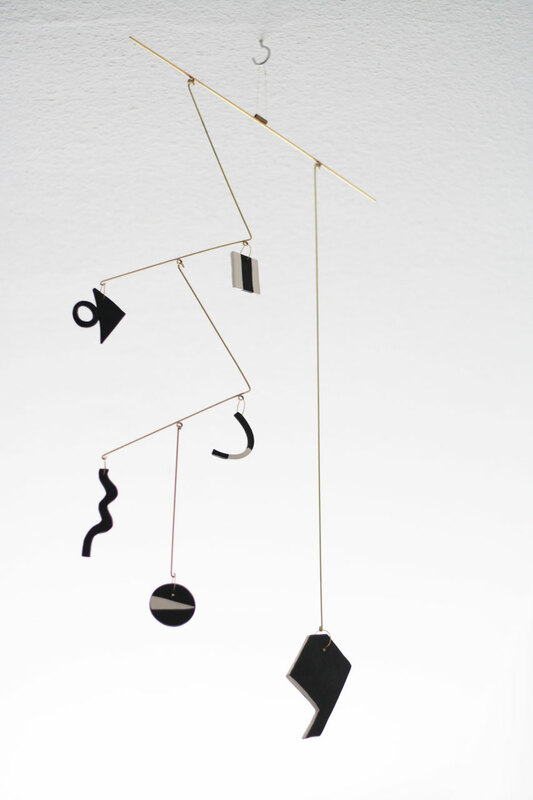 Figur 4 is a one of a kind kinetic mobile. 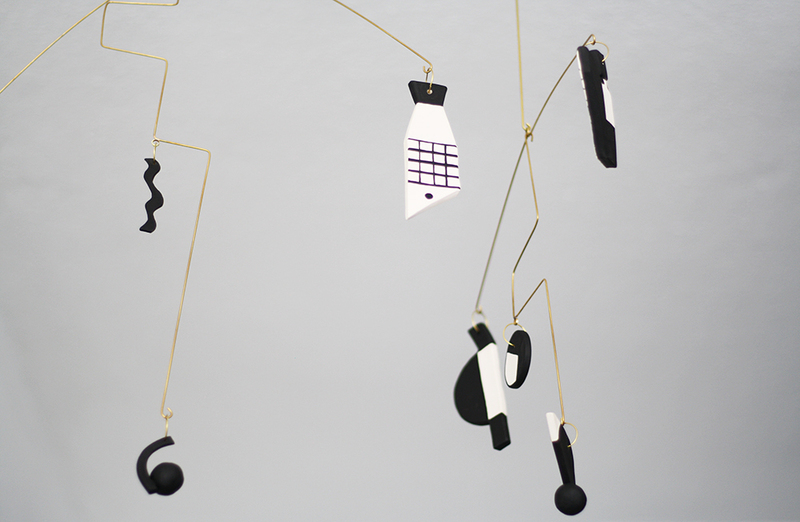 Different ceramic shapes are handcrafted and painted individually, merged together with brass structural elements. 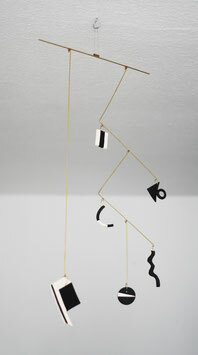 It creates a graphical contrast and the sense of wonderful curiosity. 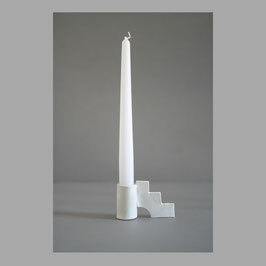 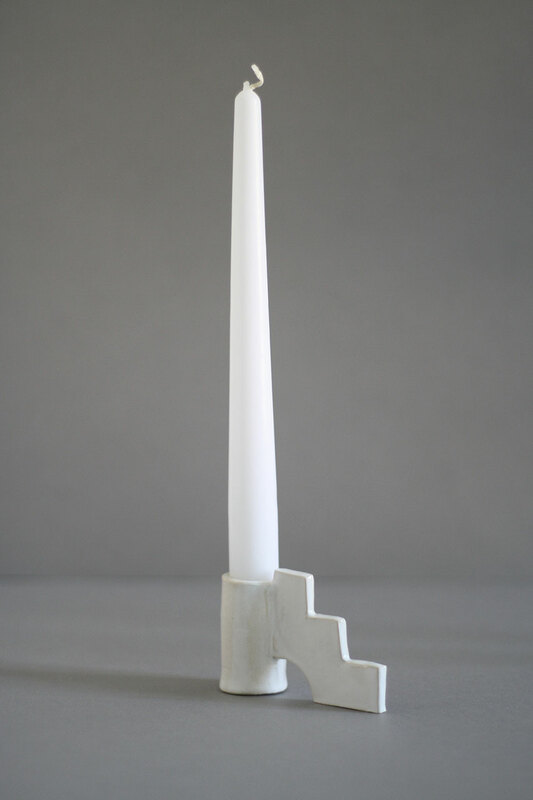 Stair is a handmade ceramic candle holder, inspired by timeless simplicity and playfulness. 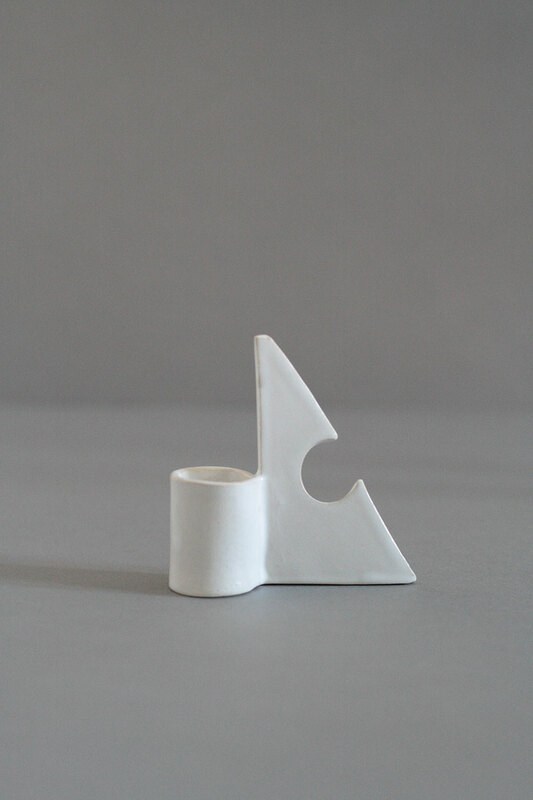 Materials: white glazed white clay. 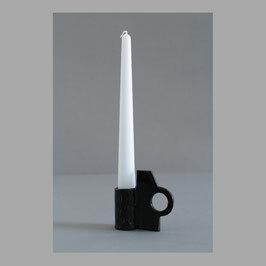 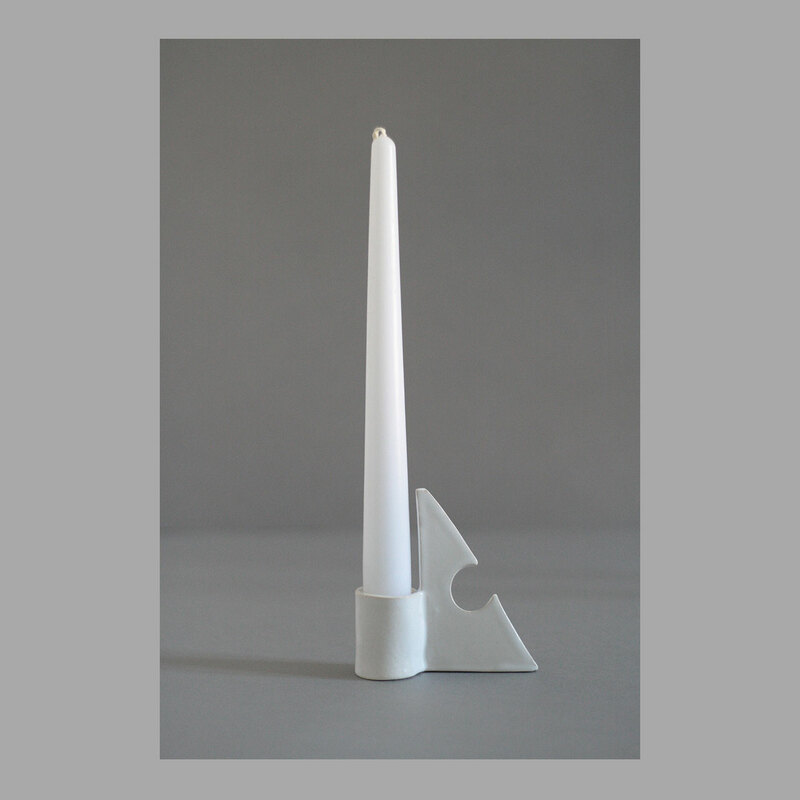 Polla is a handmade ceramic candle holder, inspired by timeless simplicity and playfulness. 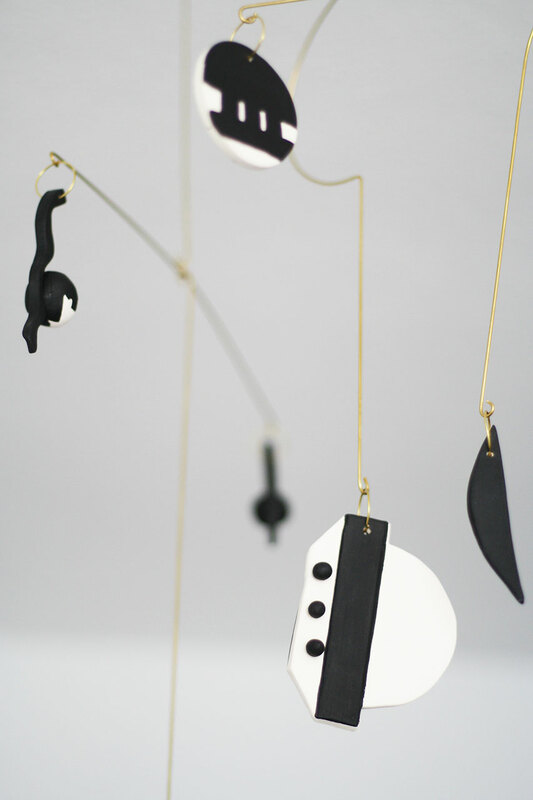 Materials: black glazed white clay. Recta is a handmade ceramic candle holder, inspired by timeless simplicity and playfulness. 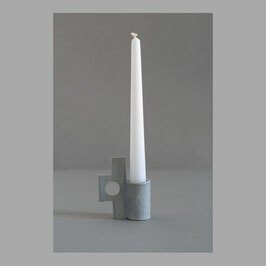 Materials: gray glazed white clay. Triangle is a handmade ceramic candle holder, inspired by timeless simplicity and playfulness.